Introducing Anne Schellman from the gardening website Anne of Green Gardens. She's a horticulturalist. 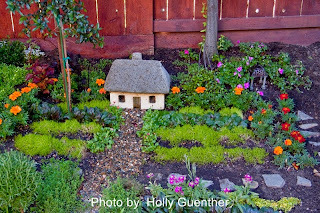 It was actually a picture on Anne's website that inspired me to create my own fairy village. I can also relate to her gardening philosophy, "If you’ve never killed a plant, you’re not trying hard enough!" because I have definitely killed a few plants in my day. 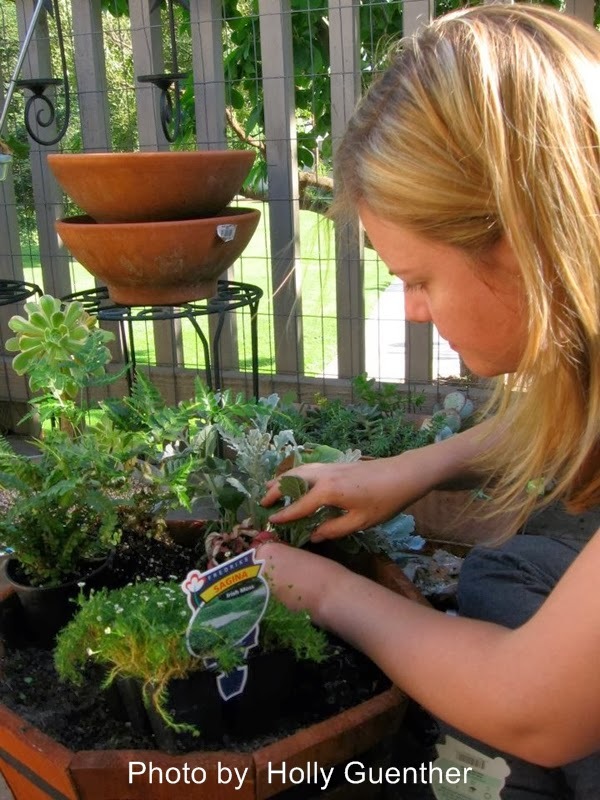 In addition to her website, Anne is pursuing a dream and trying to get her book about miniature gardening published through her Kickstarter project. Take a minute to learn more about her project. Please note, all of the beautiful photos in this post were taken by Anne's friend, Holly Guenther. 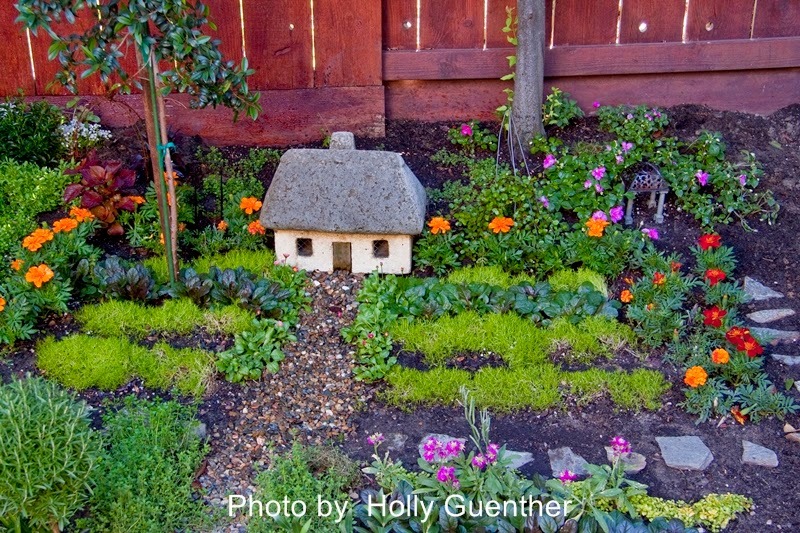 I write blogs about how to garden, and recently became fascinated with miniature gardens. I met my friend Nancy who has a huge backyard fairy and gnome garden. It inspired me to make my own miniature gardens and to write a book about it. What or who inspires you in your gardening and/or your life? My grandfather was a big influence. His name was Ferdinando and he was first generation Italian. He had an amazing garden full of flowers, nuts and fruits. As a little girl I visited him every weekend and helped him pick boysenberries, shell peas or crack walnuts. This made me want to grow my own food and flowers at home, so I saved up nickels and dimes and asked my mom to help me send away for seeds. I was so excited when they arrived! What’s your philosophy about gardening and/or life? One of my first jobs was at a garden center where I made a friend who taught me a lot about gardening and life. One day I confessed to her “Sometimes I kill my plants.” To which she replied, “If you’ve never killed a plant, you’re not trying hard enough!” This has become my gardening philosophy. I started my blog in 2011 because I missed talking about plants (at the time my job was in another field. 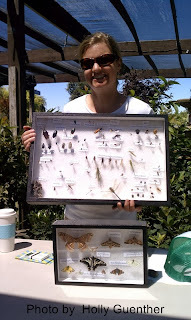 Several years later I developed a keen interest in insects and started a collection. To get an insect to look just right, I freeze them (considered the most humane way to kill them) and as they thaw, I reposition their wings and legs. One day it occurred to me in retrospect that the test had been right; I was a bug mortician! I use my collection to teach both children and adults about insects. Is gardening and writing a hobby, business, or something in between? Right now writing is a hobby. I have a “day” job but dream of being an author, speaker and having a television show. I had a local television show for about a year, but it was really difficult to continue with a 40 hour job. 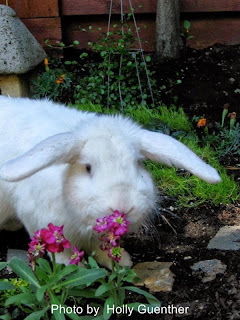 The shows are now online at, http://www.kazv.net/anne-of-green-gardens.html. Right now, with my Kickstarter project in the works, I’m very close to my dream of being an author! My Kickstarter is about miniature gardens and features a cameo by my friend Nancy’s very cute bunny named Coconut. 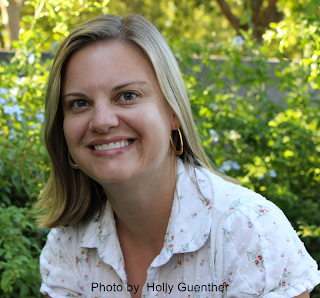 Artist Inspirations: Anne Schellman - Meet Anne, she's a horticulturist and the inspiration for my fairy village.